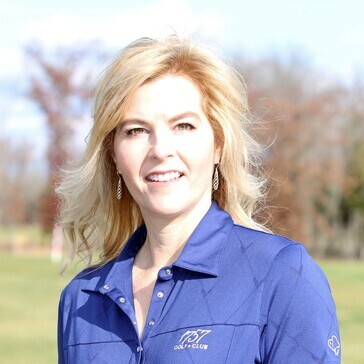 LPGA/PGA Teaching Professional - Author "Fighting Golf" - Inventor "Impact Improver"
Tiffany is prolific in the world of golf and her community by being supportive of a number of charities and organizations. She helps promote the game through the First Tee, LPGA Amateur Golf Association, and the LPGA Girls Golf Club. She also sponsored MAPGA, Mid Atlantic Professional Golf Association junior golf in 2018. She helps with the American Red Cross, the Bollinger Foundation, and other cancer fighting causes. Tiffany enjoys working with all levels of players from beginner to professional. Her passion is golf and her joy is watching her players improve!